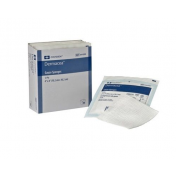 Covidien 441107 Dermacea Gauze Roll by Covidien is constructed to minimize loose lint fibers that can get into to the wound and delay healing. 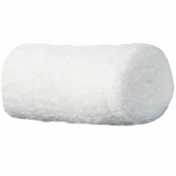 The gauze is woven, prewashed and fluff-dried to eliminate loose specs of lint with finished edges to prevent unraveling. 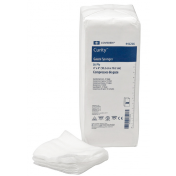 It's a 3-ply gauze bandage offering comfort and ventilation and can soak up wound exudate. 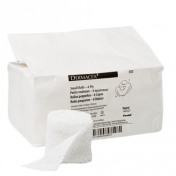 The width of the roll measures at 3 inches which offers sufficient surface area when securing wound dressings and provide mild compression when needed. 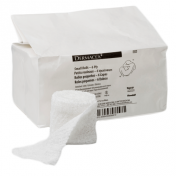 It also can secure splints and I.V.'s. 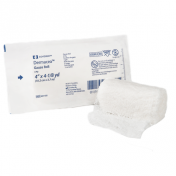 It's also packaged sterile to make certain the gauze roll won't introduce bacteria when used with open wounds. 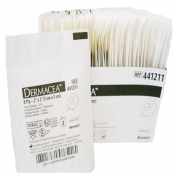 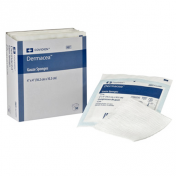 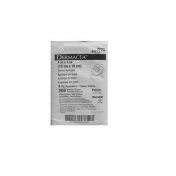 When needing a wider gauze roll, try Dermacea 3-Ply with 6 inch width.